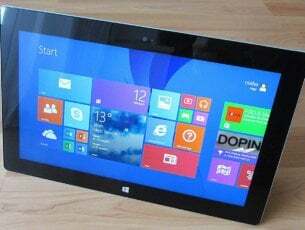 With the latest offering of Windows, Microsoft tried to fix up many of the older problems that have plagued Windows since the XP era, but Windows is a massive operating system and not even Microsoft can fix all of its problems in one iteration. One of such problems involves your computer not waking up after you put it to sleep, there are many reasons for why this could be happening and it is impossible to cover each and every one of them, but we can try our best. Here are some solutions that might or might not work. 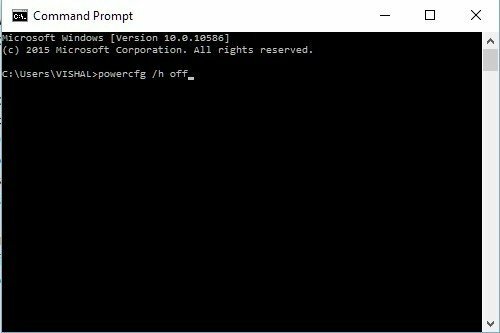 Click on your Start Menu and type “Command Prompt”, and open the first result as administrator. This solution has worked for some people, disabling Hibernation isn’t fixing the root of the problem but it somehow fixes the problem anyway. For many Hibernation is a feature they don’t ever use, so this could be useful. 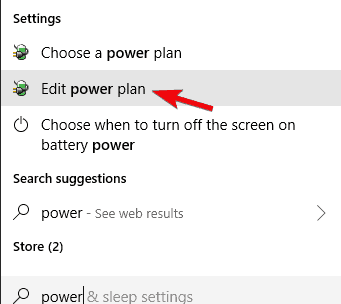 Click on your Start Menu and type “Power Options”, and open the first result. Now click on “Choose what the power button does” on the left pane. Click “Change settings that are currently unavailable” on the top of this page. Scroll down until you find “Turn on Fast Startup” and uncheck it. Now save the changes and close it, and restart your PC twice – doing it twice is the important bit. If the first solution was of no help, this might have been causing the issue – or it might not, but all we can do is a fire in the dark and hope to hit the target since the symptoms are all the same but the cause could be a lot of different things. 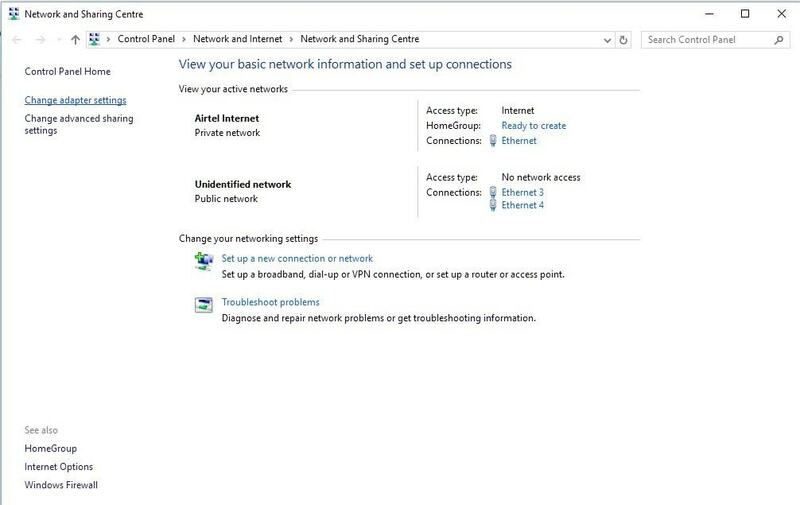 Click on your Start Menu and type “Network and Sharing”, and open the Network and Sharing Center. 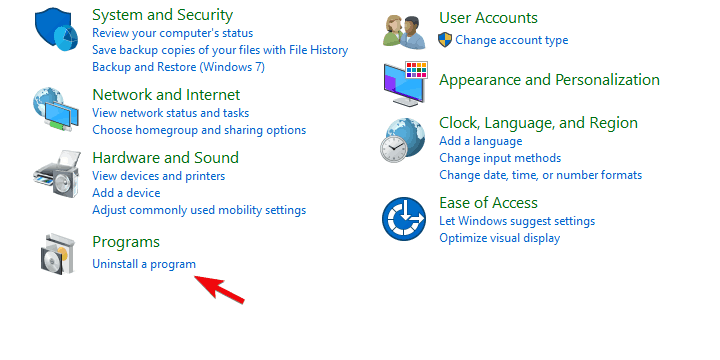 Now click “Change adapter settings” in the left pane. 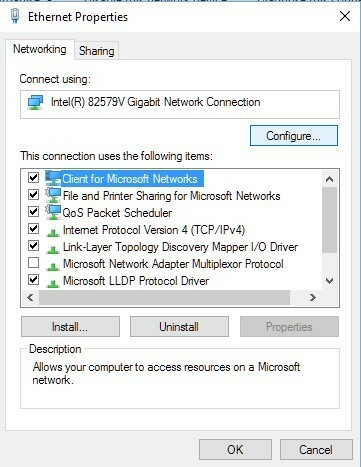 Now right click on your active Internet adapter and click Properties, if there is only one adapter then that’s the one. Now click the Configure button on top right and go to the Advanced tab. Over here, find “Wake on Magic Packet” and set it to Disabled, do the same with “Wake on Pattern Match”. 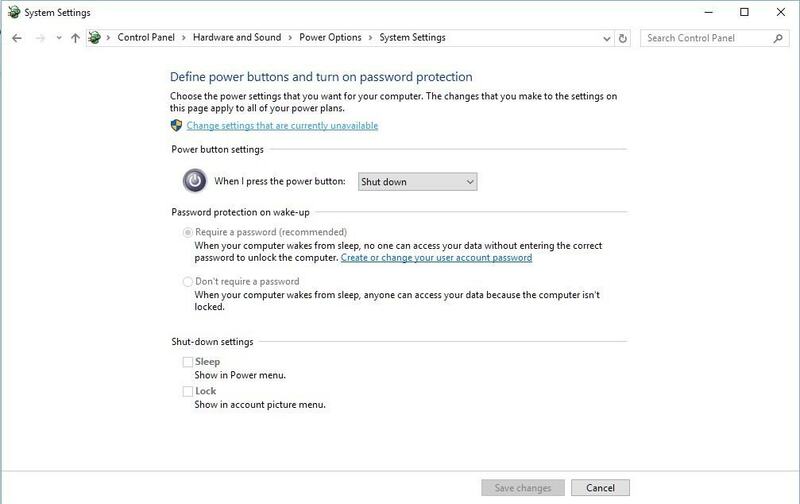 Click OK and save the settings, then restart your PC twice – again, twice is the important bit. This solution has also worked for a lot of people, but there is no way to know whether it will work for you until you try it for yourself. These things are not simple or easy to diagnose and there are many different variables that could be causing this issue – just because of how complex Windows is as an operating system. We can see good intentions Microsoft had when they decided to fully-automatize the driver distribution on Windows 10. 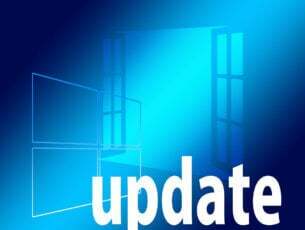 With the latest Windows iteration, you don’t have to be a knowledgeable user in order to get driver updates. However, this concept doesn’t always work as intended. 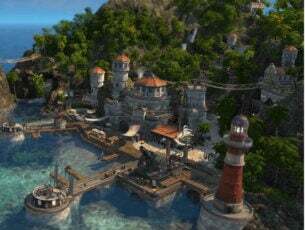 Especially with the sensitive hardware like GPU which occasionally relies on legacy drivers. And, when the problem with your display occurs, we can assume with relative certainty that the GPU has something to do with that. 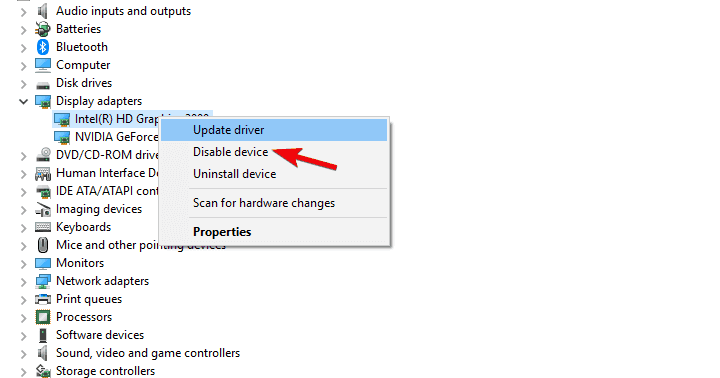 Now, we recommend updating your drivers as the first step. On the other hand, if the issue persists, the best way to get the proper drivers is to find them manually. This might look complicated but it really isn’t, taking into consideration how easily accessible they’re on the OEMS respective support sites. 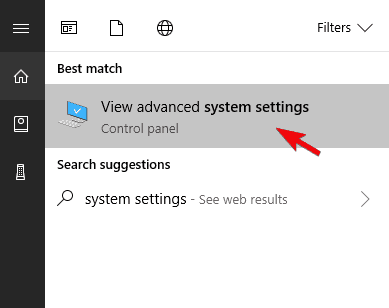 In the Search bar, type System settings and open “View advanced systems settings“. 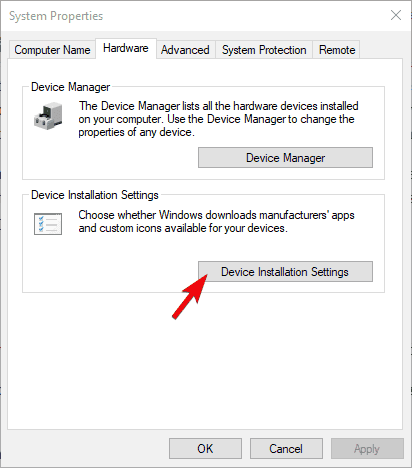 Select the Hardware tab and open Device installation settings. Disable automatic settings and confirm changes. Now, this isn’t a solution but might act as a proper workaround until you resolve the issue completely. Maybe with one of the provided solutions or some of the future Windows updates address this. Either way, there’s a black screen and you can’t do a thing besides physically powering off your PC and starting it again. However, there’s a once keyword combination which will, when utilized, restart the graphics driver and the screen might just turn on. This helped some HP users who were plagued by the same issue. The combination you should try out is Windows key + Ctrl + Shift + B. It’ll automatically restart the graphics driver and the screen should turn on from the Sleep mode. As the Sleep mode reduces the resource usage, it still keeps the applications opened so you can resume working. However, some of those apps, especially the ones which come pre-installed, can cause a lot of problems. Namely, some third-party applications provided by the OEM as a supporting software can affect the system performance negatively in various ways. Especially the ones with the power management premises. Type Control in Windows Search and open Control Panel. Click on “Uninstall a program“. Uninstall any power-related pre-installed application. Another possible reason for the Sleep mode issues lies in the outdated BIOS firmware. A lot of older machines have a hard time running Windows 10 in a seamless manner without the updated BIOS (UEFI) firmware. However, even though updating (flashing) procedure isn’t complicated as it seems, it’s well-recommended to approach it carefully. In case the power outage breaks in the middle of the process, your motherboard might get bricked. Now, we can advise you to look up your motherboard and update it if needed. If you’re not accustomed to this procedure, make sure to check out this article where we explained the general flashing process. Many contemporary laptops come with the dual-GPU configurations. The onboard graphics adapter is used for the idle work while the dedicated graphics run only when it’s needed. This is great when you want to reduce the power consumption while keeping PC’s performance. However, these integrated GPU cards occasionally have issues with Sleep mode. With that in mind, we recommend disabling temporarily the onboard graphics adapter and using the dedicated graphics exclusively. There are few ways to do this. You can use a GPU suite, Control Center or Catalyst, to disable the integrated graphics card. 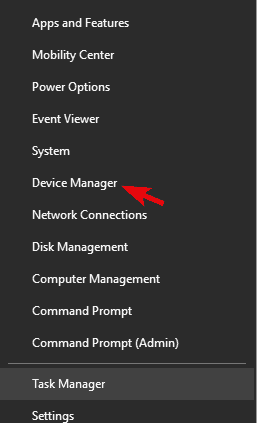 On the other hand, you can disable the device completely through the system settings. 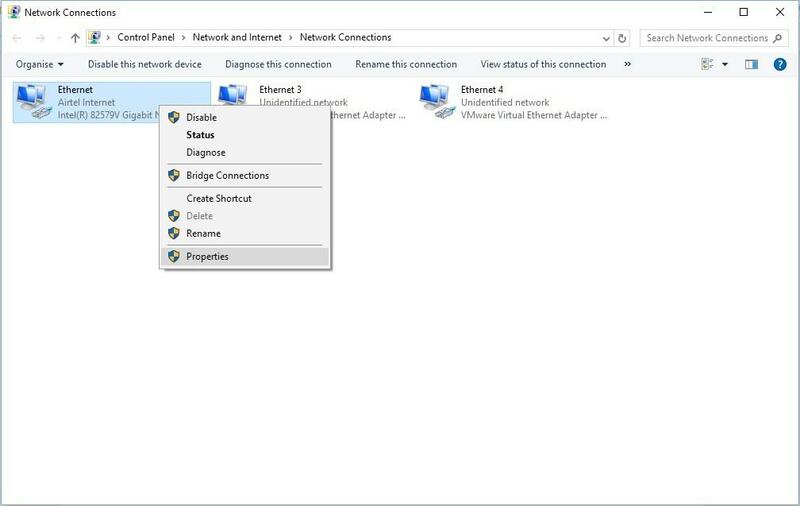 Navigate to Display adapters and expand the section. Right-click on the onboard GPU (mostly Intel) and disable it. Restart your PC and check whether the Sleep mode behaves. Finally, if you gradually covered all of the aforementioned steps but the problem is still persistent, we advise you to disable the Sleep mode. Now, this probably isn’s something you wanted to hear, but if your PC is performing well in every manner with this one exception, at least consider disabling Sleep mode. In the Windows Search bar, type Power and open Edit power plan. 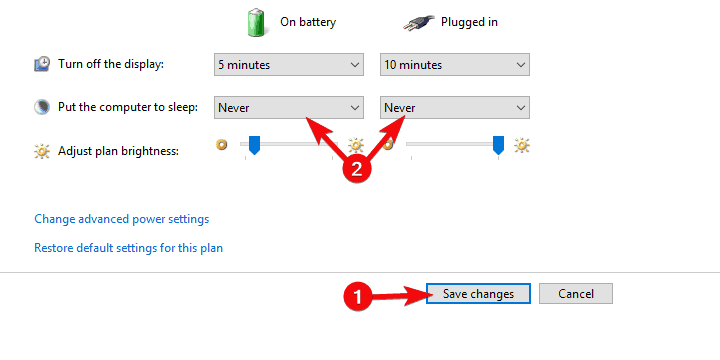 Set the “Put the computer to sleep” setting to Never for both “On battery” and “Plugged in” options. One more cause for this issue could just be random data corruption on the hard disk preventing it from going to sleep properly – to check if this is the issue you could put your computer to sleep and check if the hard disk indicator light on your computer turns off or not. If it does not, this might be what is causing your issue. 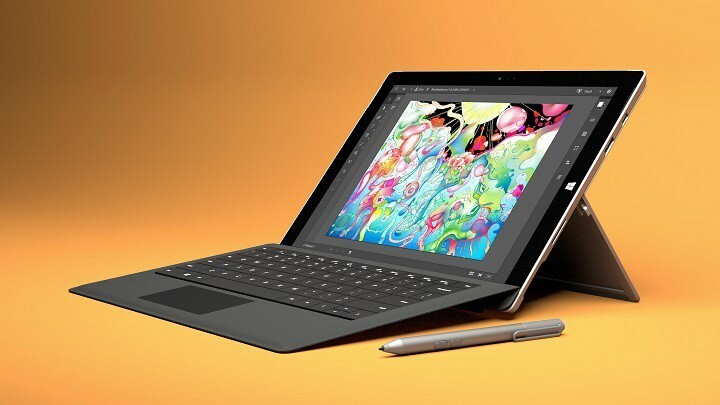 Fixing this, however, is very complicated and might lead you to loss of some of your data, so it is better to simply try and install Windows at that point instead of going through hours of backups and restoration procedures.